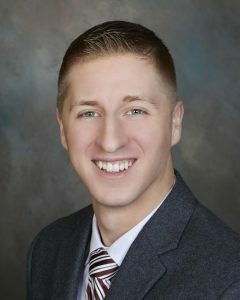 Christian Schartner is a Buyer Specialist for the Dane County Market Team at Keller Williams. He came to the team after 7+ years of successful Real Estate sales and marketing experience. His detail oriented, customer-centric style is an asset to any home buyer who is looking for guidance in this ever-changing marketplace. You can always count on passion, up-to-date market knowledge and skilled negotiation. Originally from the Door County area, Christian grew up working on a family owned cherry orchard. This background helped to develop a tireless work ethic, a business mindset and a commitment to his family. Later, as a student-athlete at St. Norbert College in De Pere, WI he received a B.A. in Business Administration with a Finance emphasis. He feels he has been blessed to since find a vocation that combines his love for analytics as well as stimulating social interaction. Christian is an avid Wisconsin sports fan; he is especially loyal to the Brewers, Packers and the Bucks. He also enjoys staying active and playing multiple sports like basketball, softball, golf and anything competitive. He also enjoys time with friends and family, learning new skills and reading a good book. Reach out today, he would love to hear from you.